Members and volunteers are the “mainstay” of the Diabetes Coalition’s initiatives, and are ultimately responsible for each event’s success. We depend on our volunteers and remain indebted to them for their time and commitment to the Coalition’s mission and vision. 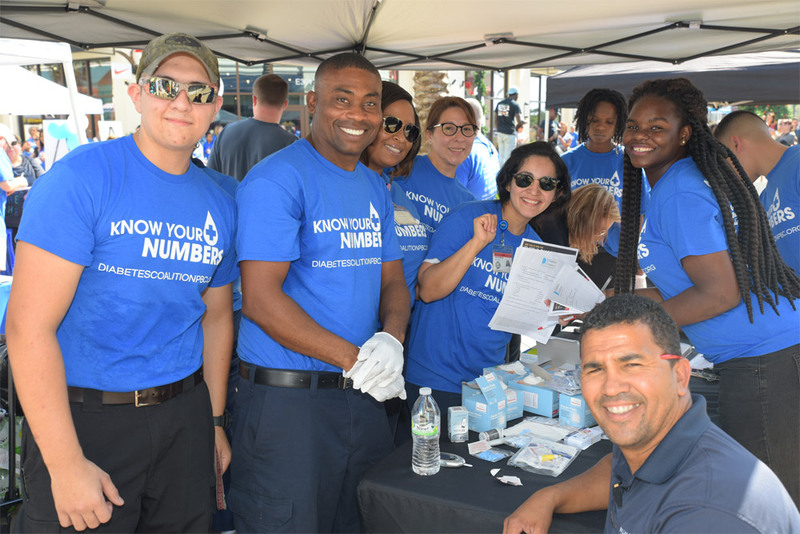 The Coalition conducts countywide free risk assessments, prevention, medical outreach – (glucose and A1c tests), and educational events throughout the year, with many of these activities occurring during Diabetes Month each November. These screenings help participants determine their risk for developing Type 2 Diabetes. If found to be at risk, individuals are linked to a health care provider for further assessment. We bring our screening and educational initiatives to the communities. These events are held in churches, schools, businesses, health care centers, food pantries, shopping malls, and many other locations. Wherever the Coalition is needed, we go! Multi-ethnic and non-English speaking populations are also targeted, by having bilingual volunteers assigned to help with screenings, who include physicians, nurses, licensed dietitians, seniors, university, and high school students. In addition to English, we also offer risk assessment tools and resource materials in Spanish and Creole. Volunteers are needed to help with pre-month event preparation, Diabetes Awareness Day, and Diabetes Month data analysis activities. Preparing screening site packets and “filling goodie bags” to be given to each screening participant during Diabetes Month and at other screening events throughout the year. Pre-event set-up for Diabetes Awareness Day in early November, which is hosted by the Palm Beach Outlets, in collaboration with the Diabetes Coalition and Palm Healthcare Foundation. 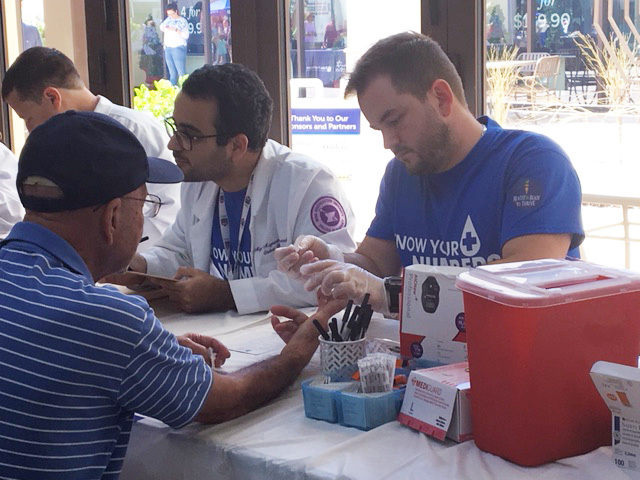 Diabetes Awareness Day Volunteers – assist with risk assessments and activities during the event. Post-event clean-up – after the Diabetes Awareness Day celebration. Volunteers to work in collaboration with the Coalition’s Data & Resource Committee to collect and enter the Risk Assessment and Glucose Screening Data gathered during the year, which includes November, Diabetes Month. All volunteers assisting with administrating Diabetes Risk Assessments and/or Glucose Screenings are required to complete volunteer training. Each year the Diabetes Coalition hosts the Diabetes Educational Symposium. The audience for this event is health care providers (physicians and nurses) and other health care professionals. The goal of the symposium is to provide a venue for the dissemination of research, knowledge, and evidenced–based “best practices” from leading experts in the field of diabetes, translating these findings, and “lessons learned” into clinical practice and improved patient outcomes. The Coalition depends on our volunteers to assist with pre-preparation activities for the symposium, which includes putting materials and individual program packets together. Volunteers also help during the event – welcoming participants, checking in attendees, and making sure that all individuals requesting CME/CEU credits have received and completed the required forms. All volunteers assisting with Risk Assessments and A1c Glucose Test are required to complete volunteer training prior to assisting at the diabetes screening sites. You will be notified regarding training dates. Please click below to complete the Volunteer Registration Form. Completed forms will be emailed to Debby Walters. Debby will follow-up with you to confirm volunteer assignments. If you have any questions, please contact Debby at: debby@diabetescoalitionpbc.org .